Eli Manning’s streak of 210 consecutive starts will end this weekend, as Giants coach Ben McAdoo announced that Geno Smith will take over at QB against the Raiders. Manning’s streak was the second longest in NFL history, 87 starts behind Brett Favre. Smith started one game for the New York Jets last year, and year before that, he had his jaw broken in a fight with a teammate and played just one game. 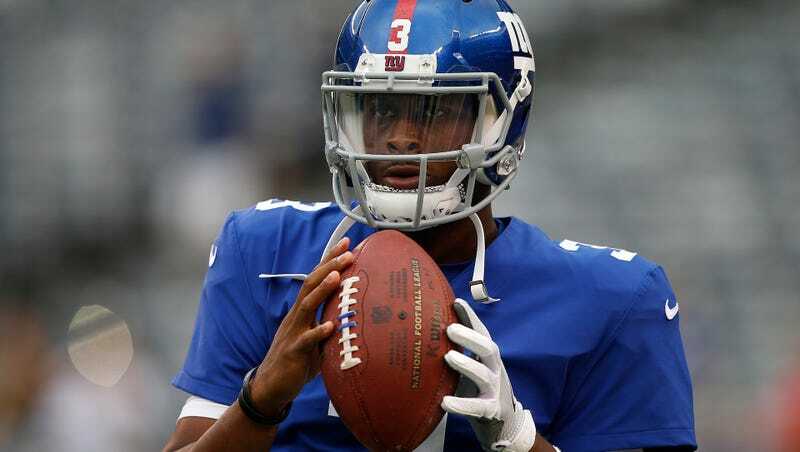 Geno Smith has thrown two passes this year. Both were incomplete.